J.D. 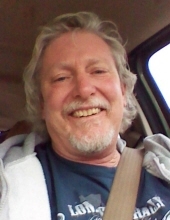 Payne, of Hilltop Lakes, Texas, passed away July 11, 2018 in Madisonville at the age of 55 years. A celebration of his life will be held 10 A.M., Monday, July 16, 2018 at Ephesus Baptist Church near Jewett, Texas. Rev. Ray Payne will officiate the service. A private, family graveside service will be in the Old Bowling Cemetery. Visitation will take place from 5 P.M. to 7 P.M., Sunday, July 15th at Walters Funeral Home in Centerville, Texas. Joe Denton “J.D.” Payne entered this world on August 10, 1962 in Fairfield, Texas to proud parents, Paul Morse Payne and Carol (Haire) Hinton. He was raised in Normangee and graduated from Normangee High School in 1981. J.D. was self-employed in the carpentry industry, and he was a full-time caregiver to his autistic son. He enjoyed motorcycles and, when he was younger, enjoyed taking day trips on them. J.D. also liked being outdoors fishing and hunting. His favorite past time was being outside during the evening sunsets. Their beauty amazed J.D., and he liked the sense of calm that came over him while observing them. He had spent many evenings capturing their fiery red, yellow and orange colors on camera. J.D. was known for his tremendous giving nature. He was constantly placing others before himself. There wasn’t anything that he wouldn’t do to help a person and would have given the shirt off of his back if it were necessary. This giving attitude was evident even after his death, as J.D. had previously chosen to be an organ donor to those with extreme medical needs. J.D. loved to read the bible daily and had been in the process of a spiritual transition to Judaism, a religion that he had taken much time to research and consider an appropriate choice for him. He had been a lifelong resident of the Normangee area at the time of his passing. J.D. was preceded in death by his great nephew, Cade Phillips and grandmother, Era Draper. Surviving family members include father, Paul Payne (Glynda) of Beaumont; mother, Carol Hinton (Paul) of Hilltop Lakes; children, Jessica Payne of Plano, Clint Payne of Hilltop Lakes and Taylor Payne of Plano; sisters, Brandye Payne-Smith (Whitney) of the Redland Community, Michelle Sherrard (Bill) of Rockwall & Brykel Payne of Flynn; brothers, Brandyn Bryant of Normangee, Danny Hinton & Kenneth Hinton and honorary brother, Willis Stout of Lumberton. J.D. is also loved and survived by his numerous nieces and nephews. In lieu of flowers, memorial donations may be made to the following facebook fundraiser link J.D. had started for his upcoming birthday supporting the organization Autism Speaks: https://www.facebook.com/donate/224766941580005/, as well as, The Autism Society, 4340 East-West Hwy, Suite 350 Bethesda, Maryland 20814 or https://secure.everyaction.com/ynTHgQUB402qwetMAwHjwA2. Walters Funeral Home in Centerville, Texas is in charge of arrangements. To send flowers or a remembrance gift to the family of Joe Denton "J.D." Payne, please visit our Tribute Store. "Email Address" would like to share the life celebration of Joe Denton "J.D." Payne. Click on the "link" to go to share a favorite memory or leave a condolence message for the family.